I designed this jar cozy pattern to give some of my canning jars new purpose as decorative accents around the house. There are many possibilities! Create this lovely handmade gift for a teacher's desk or to hold fresh or silk flowers for a party or wedding. 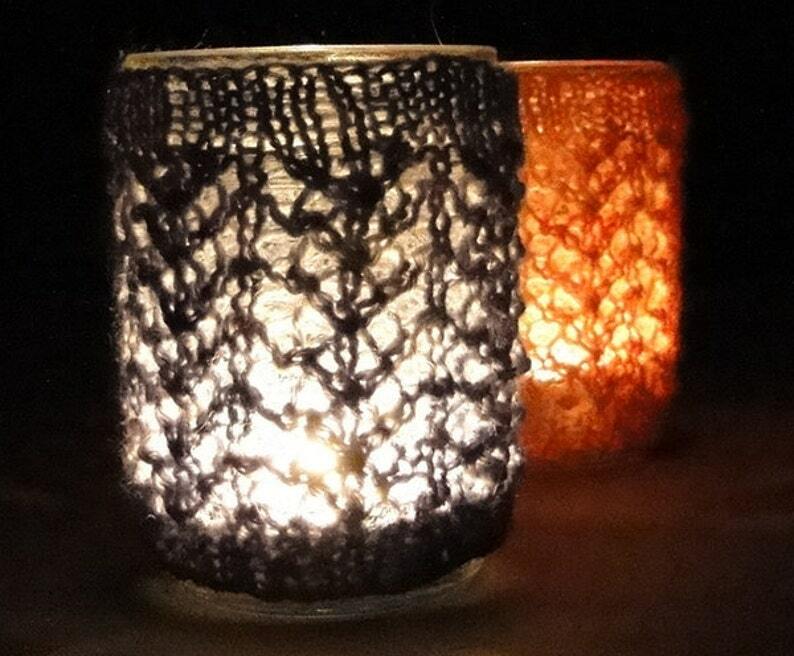 Add a "flameless" candle to transform an ordinary jar into a beautiful light display. Techniques used are knitting in the round with dpn's, yarn over, slip-slip-knit, and passing stitches over. I used size US4 (3.5 mm) needles.